Dang, you had to deflate my bubble, didn't you.... The Freightliners are about 1/2 the price of Internationals and seem to be more readily available too. Sorry you have to hear it, but its true. There is a reason they are the cheapest both new and used. You do know thier parent company is Daimler, right? Its not the mechanical parts, Great engines (EXCEPT for the Newer Mercedes Diesel ) transmissions, suspensions, all that is fine. Its the dash wiring, controls, ECMs, and other various, Modules that seem to control everything. current posts in this thread start about page 90. 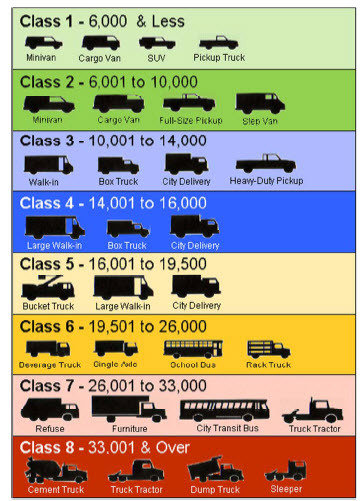 I am not looking at using a class 8 truck. What I currently pull I do with a Dodge 2500 pick up with a Cummins in it. Since my truck is old enough to vote and the body is starting to rust I have been looking at trucks. A decent diesel pick up is pretty much out of my price range, (forced to retire early due to a medical disability, but that's another story) and the slightly larger trucks are less expensive to purchase I figured I may go that route plus I may get the oportunity to upgrade my trailer and don't want to worry about truck capacity. I also plan on doing my own maint. on it too. Far as herding a larger truck down the road, I used to drive big trucks so it will not be a problem for me. MnTom: Why are you not considering a class 8 truck? From what I'm reading, it seems that they will cost less initially, be more comfortable than a 1 ton or MDT, be about the same on maintenance and fuel as an MDT, and be able to pull (and most importantly stop) any trailer I could come up with. I've only seen a couple of MDTs that were even close to what I can afford, but have seen quite a few HDTs that are in my price range (even with the costs of modifying them for RV use). I want either an MDT or HDT, but will get whichever I can afford just before I start full-timing. I'd prefer the HDT since it can be adapted to carry the toys. I'm no longer considering a 350/3500 which was my original plan. I don't have any need for a class 8 truck. I traveled this country and a good bit of Canada in one pulling 42' to as long as 60' trailers. Having a twin screw would be way way overkill. A class 6 is even larger than what I need. What does everyone think of the Cat engines in the FL50/60 trucks? The ads for all the trucks in my price range just say Cat 3126 for power, nothing about which series it is. I had a 1997 fl60 with a 300hp Cat 3126. It was the worst diesel I have ever owned. However, I'm the oddball that has an M2 106 with a Mercedes 900 (926) and loves it! Only probs I've ever had was the EGR leak. Compared to my nightmare Cat 3126 and it's copper injector cups and other chronic, expensive, major issues, the MB900 has been a dream to own and drive. I believe that the 3126 later became the c-5 when it was updated (plz correct me if I'm wrong). I've never seen an actual , by year break down for the production of the various versions of the 3126 > B > E the change up to the C-7 was 2004. Info is hard to come by even the valve cover decal on my coach just says 3126, the actual serial number though goes to 3126B when on the Cat site. Best guess 3126, pre 1998. 3126B, 98>01. 3126E 02 till the C-7 introduction. There are posts asking when the change 3126 to the B occurred and exactly what the changes were. No definitive answers. Found this on line if you can get the first 3 of the engine serial number you can narrow things down . One site I found grouped all pre c-7 engines as 3126Es 11 years; so no help. It is rather difficult to find out the years of when the Cat models were introduced. I still don't know whether I should be looking at Cummins, Cat, or both for power. I am familiar with the Cummins, but not the small Cat. Well, now I have a change of plans. Seems the rebuild of my transmission 1300 miles ago needs to be redone with some more parts all due to a cheap bushing.... I am really, realy PO'd about it too. In those trucks, the Cats will outperform the cummins. They'll run circles around one with a Mercedes engine. That's all speaking from experience.